Ophelia Willis, 104, passed away Friday, February 1, 2019 in Oklahoma. Funeral will be 10:00 a.m. Saturday, February 9, 2019 in Morrison Funeral Home Chapel with her grandson officiating. Burial will follow in Pioneer Cemetery under the direction of Morrison Funeral Home. Ophelia was born January 23, 1915 in Lucille, Texas to the late Willie Henry and Mary Elvie (Nicklas) Reeves. She married Edward Glen Willis, August 28, 1938 in Graham. He preceded her in death on February 12, 2011. 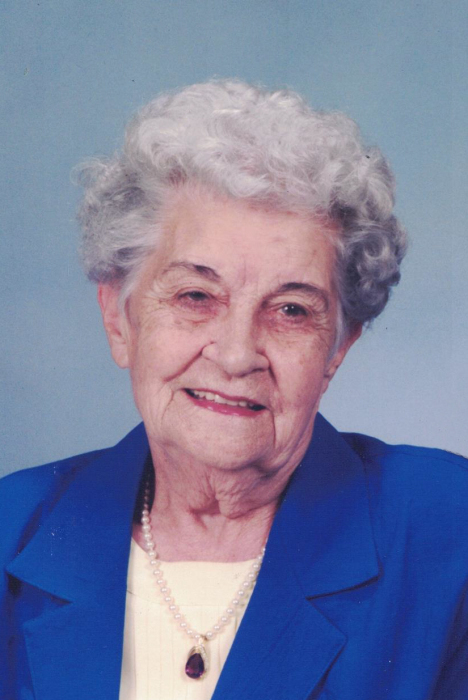 Ophelia was a longtime resident of Graham before moving to Drummond, Oklahoma to be with her grandchildren. Survivors include; granddaughter, Lisa McGehee of Drummond, Oklahoma; grandson, Virgil Willis of Enid, Oklahoma; several nieces and nephews also survive. Family visitation will be Friday from 5:00 to 7:00 p.m. at the funeral home.